For the September box we were given a choice of either customizing our box by picking one of four samples, or selecting the customer favorites box. 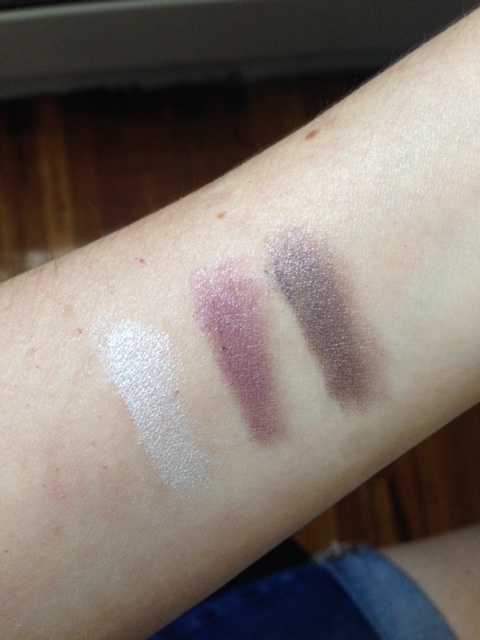 I decided to pick my sample: the POP Beauty Portfolio Eyeshadow in Sugar Plum. Now, on to one of the most fun parts of getting a Birchbox every month: this month’s box design reveal! Who wouldn’t be charmed by this cute box with a rose gold “You’re beautiful” slogan emblazoned across the top? 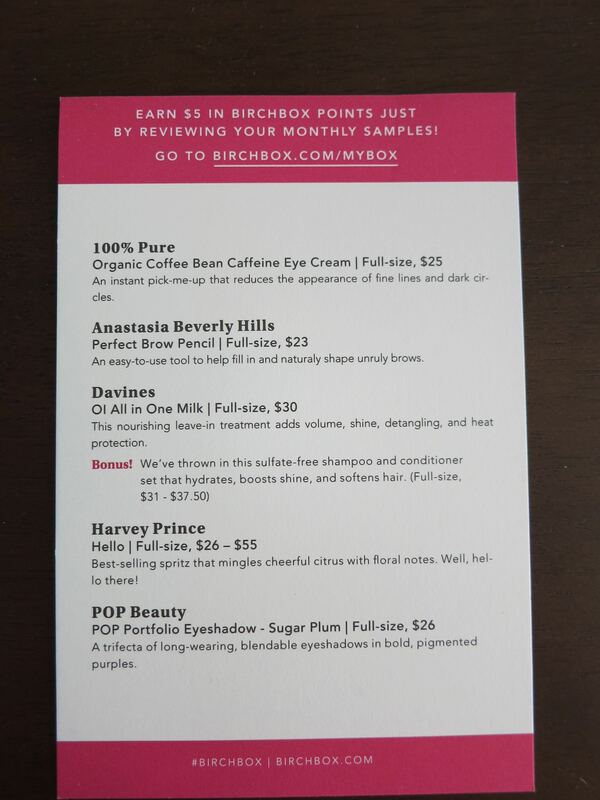 This month marks five years of Birchbox, so the theme is subscriber celebration. I’m on board with that. 😀 The box includes a 20% off code my next order of $35 or more, so that’s pretty sweet. The box felt heavier this time around, and that was due to the Davines OI All in One Milk—a leave-in hair treatment. This was the second month in a row that I received a leave-in spray, but I’m cool with that, as that type of product tends to work well for my baby fine hair. I’m a little confused by the product name; I’m not sure if it’s supposed to be capital letters “o” and “i” or a zero and a capital “i” or a capital “o” and a lowercase “l” or some sort of combination thereof. Not great naming, Davines (which I also can’t figure out how to pronounce). Anyway, I’m looking forward to trying out this leave-in, as the one I received last month was pretty good. The second sample is an Anastasia Beverly Hills Perfect Brow Pencil. 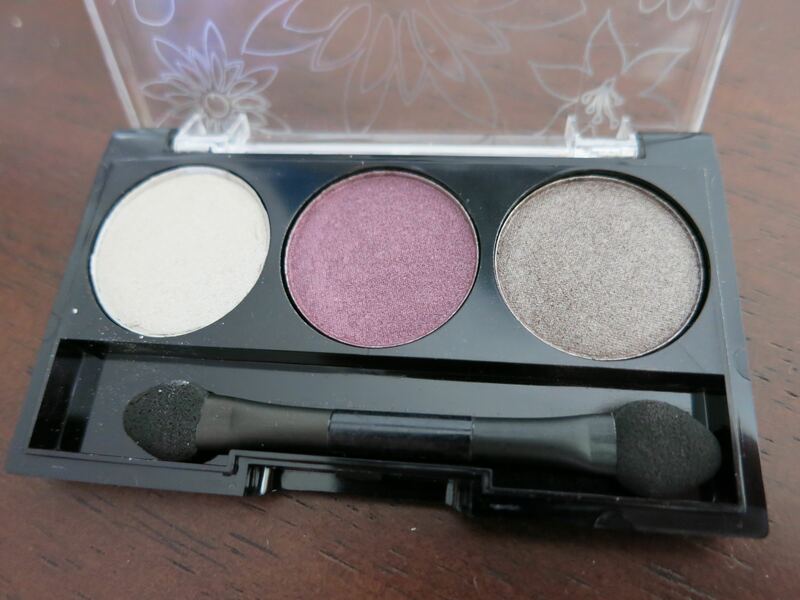 This sample is a major meh for me, because the only product I use on my brows is clear mascara just to tame them. I naturally have very dark, full brows so I really don’t need a pencil to fill them in, but I suppose this sample could come in handy if I happen to pluck a brow hair by mistake and need to cover up the mishap. 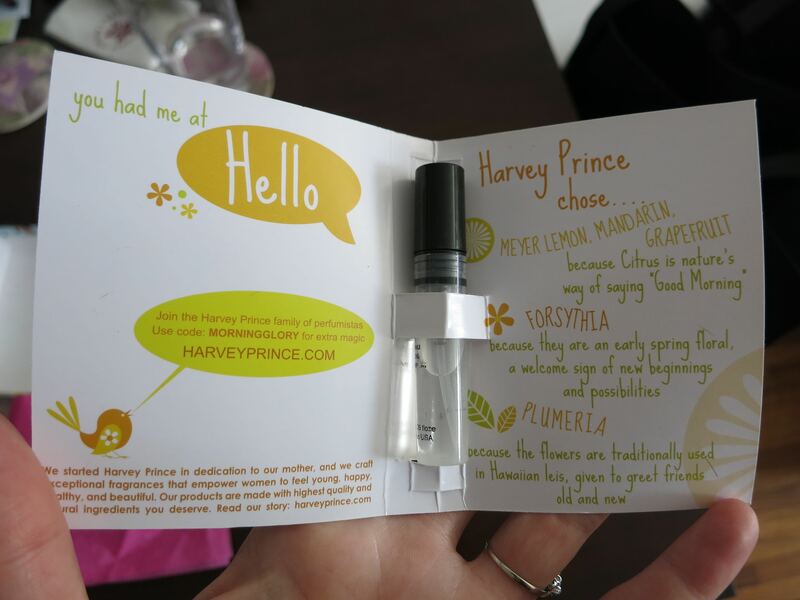 My third sample, not pictured in the main box photo above, is Harvey Prince Hello fragrance. I know, I’m always a little grumbly about fragrance samples, but this one had cute packaging so I am trying to be open minded about it. In fact, I spritzed a little bit on before beginning to write this post because the description sounded rather energizing. So far it’s not bad—it’s a little more flowery than I prefer, and I wouldn’t buy a full sized bottle of it, but I might use a spriz of this sample if I feel like something different from my usual Marc by Marc Jacobs. The sample that got me excited when I first opened the box is the 100% Pure Organic Coffee Bean Caffeine Eye Cream. As I mentioned I had toyed with buying this product in the past, but a full sized tube is $25 and that’s more than I typically spend on eye cream. So I’m thankful for the chance to try this stuff out before deciding whether I want to drop that much on eye cream in the future! They sent a generous sized sample, too! Birchbox also threw in bonus Davines OL shampoo and conditioner packets, which are sulfate-free. Excellent! 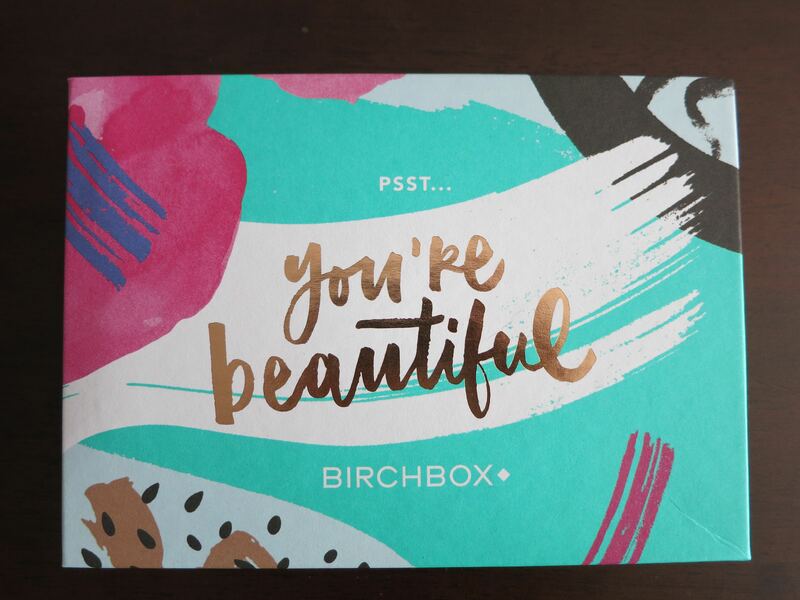 I know last month I was a little down on Birchbox and thinking about canceling, but my attitude has swung the other direction and as of now I think I’ll stick with it for awhile. I’ve never received a box that I’ve completely hated, and the good has definitely outweighed the bad for me.